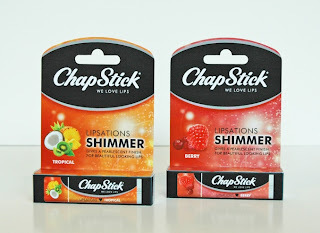 Today for my beauty post I wanted to talk about the new Lipsations Shimmer range from Chapstick. I'm sure just about everybody has heard of Chapstick - in fact they are such a well known brand that my Ipod spell checker actually recognises the name when I mis-type it and auto-corrects it for me! - so they certainly are a known and trusted brand worldwide. In the last few months, I have noticed that my lips have been becoming very dry - I'm not sure if this is pregnancy related or just to do with the weather, but it has certainly been irritating me! I love lip salve but I find it difficult to remember to wear it as I'm usually more concerned with using lipstick or lipgloss for cosmetic reasons. 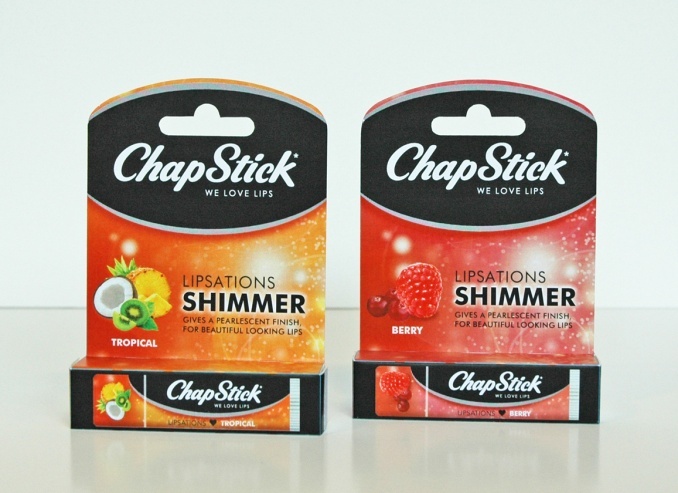 So when I was sent the Lipsations Shimmer to range I was really pleased - as it offers all the soothing and moisturising qualities that you would expect from Chapstick, but it also gives lips a lovely pearlescent shimmer! The best of both worlds! There are two flavours available - Great Berry (which has a pink shimmer) and Tropical (which is slightly more orange toned, but a very natural look once applied). I love them both, but as I'm a sucker for anything pink and berry flavoured - the Great Berry is my favourite! I have noticed a real improvement in my lips since using these, and I love the subtle shimmer it gives me! Perfect for a natural daytime make up look! I wanted to thank you for coming by and linking up over the weekend with the Meet & Greet Blog Hop!